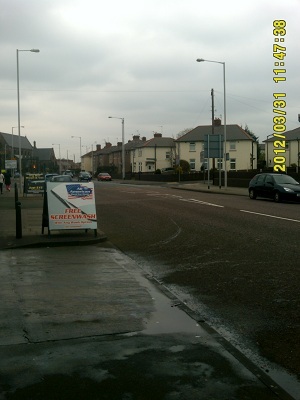 Following on from an earlier story about flytipping at the back of shops on Hoylake Road, Bidston (which has thankfully now been partly rectified by the owner building a wall there), a resident has been in touch with me about concerns they have (mainly about one particular shop on Hoylake Road) and more widely on the subject of A-Boards and shop displays on pavements in general on the Wirral. Here, Wirral Council is the highways authority and can grant permission (in the form of a licence) for shops to display A-boards advertising their premises on the street outside. Shops can also get permission to display some of their wares and cafes can be granted permission to use part of the pavement (although pavement cafes usually require planning permission too). There’s a page on their website that explains how businesses go about this. This licencing is supposed to make sure that a minimum width of pavement is left so that pedestrians can pass in both directions easily. Certain classes of walkers such as those using one or more walking sticks, or wheelchair users need extra space, which is why Wirral Council recommend a clear path of at least two metres around obstacles, such as lamp posts (these minimums are increased if the area is next to a pedestrian crossing, in a pedestrianised area or in a busy area). Businesses are also supposed to display the licence granted in their shop windows (although many don’t seem to). 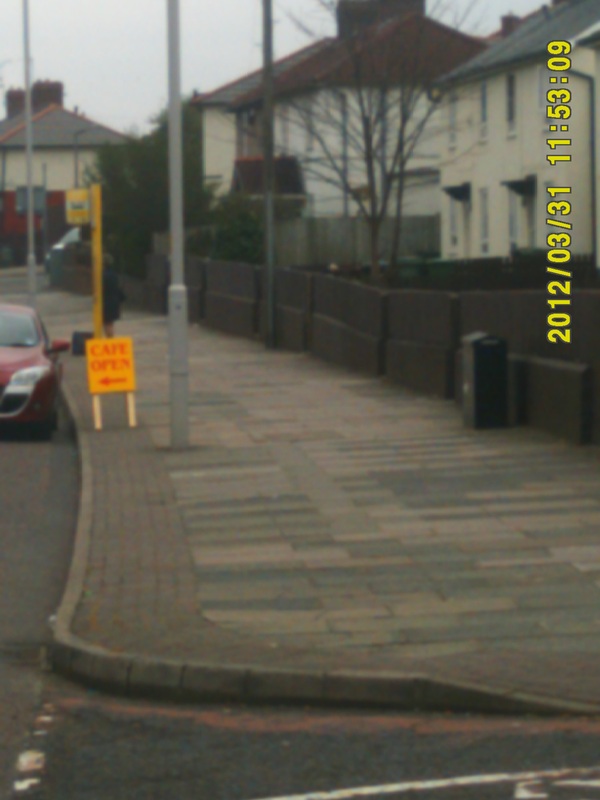 Below are some photos of A-boards locally on Hoylake Road, Bidston and a shop display from further down Hoylake Road in nearby Moreton. On the first photo is two large A-boards outside the All-American Car Wash which are sensibly placed well out-of-the-way of the dropped kerbs. 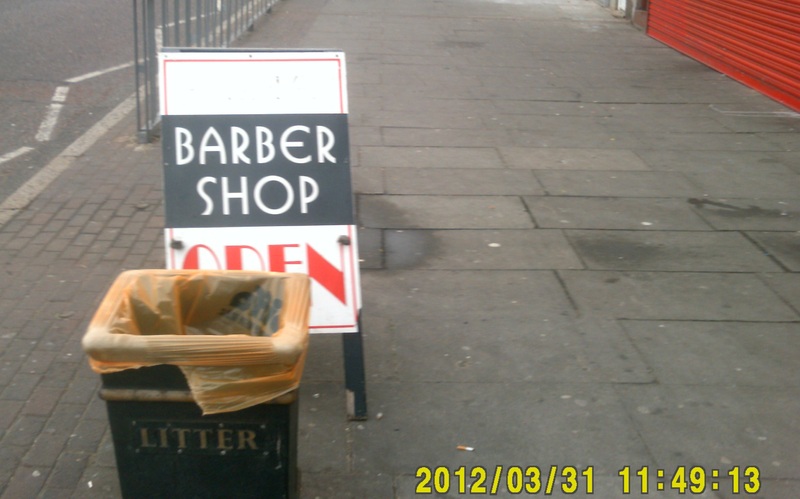 The second is an A-board advertising a barber’s shop, again placed sensitively with the needs of pedestrians in mind, but the third is placed on the opposite side of the road from a cafe, therefore unless they have a bespoke licence this isn’t permitted. 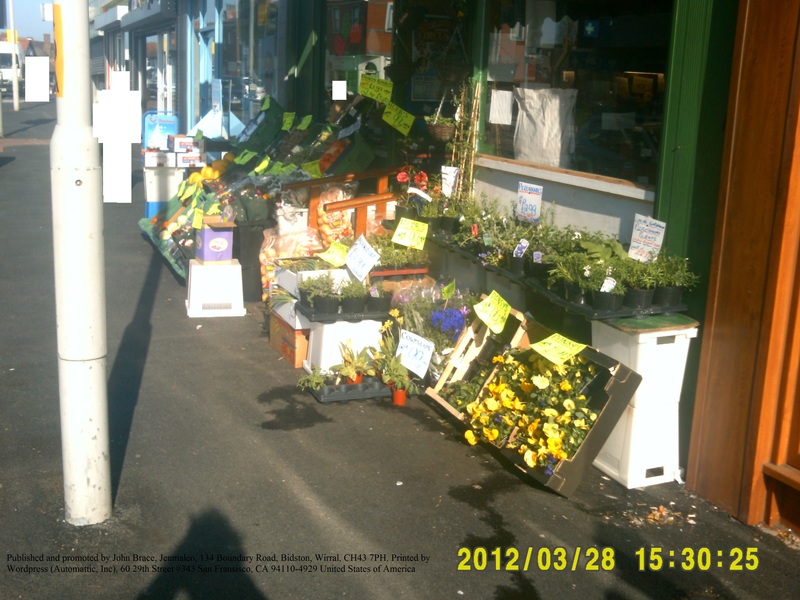 The fourth is an example of a shop display outside a fruit and vegetable shop on Hoylake Road, which due to the nearby lamp post constricts the available pavement left. Wirral Council’s Technical Services Department does have enforcement officers that respond to complaints raised if a business seems to be exceeding the terms of its licence. However even if a business is visited and found to have breached the terms of the licence, it seems Wirral Council don’t revoke the licence if the situation is remedied to what it should be. The police do have powers they can use against if “a person without lawful authority or excuse, in anyway wilfully obstructs the free passage along the highway”, which can be punished by a fine of up to £1000, but generally the police seem to refer people back to the highways authority, Wirral Council. So what do you think about the current situation? How should the compliance by Wirral Council with licences be enforced? Should businesses that regularly exceed the terms of their licence have them revoked and have you got any examples of good or bad practice you’d like to share? If so, please leave a comment. John, referring to fruit shop display in Moreton. I have personally witnessed people having to walk onto the main road to avoid this display and one of the worst was a young mother with twins in a double buggy having to struggle going down the kerb onto the main road and then back onto the pavement. Come on Wirral Council, pavements are for walking on! And don’t the Council have any thoughts to blind and partially sighted and persons who are wheelchair bound? I agree with R. Braithewaite’s comment regarding the fruit and veg shop in Moreton. The outside display sometimes leaves very little passage for ablebodied people. What about wheelchairs, blind folk or those with walking sticks, mothers with buggies and young toddlers? It’s time Wirral Council did what they are paid to do and honoured their commitment/obligation regarding the rules on pavement advertising. There are serious accidents waiting to happen here – do we have to wait till then? This blog is pretty cool. How was it made ? It was made using WordPress and the Mistylook theme by Sadish. The photos were taken with a 5 Megapixel Bush Digital Camcorder and it was written on an Aspire 5349 laptop.